We are going to create simple modular and extendable ExtCore-based web application. First of all, if you are new to ASP.NET Core please visit this page. 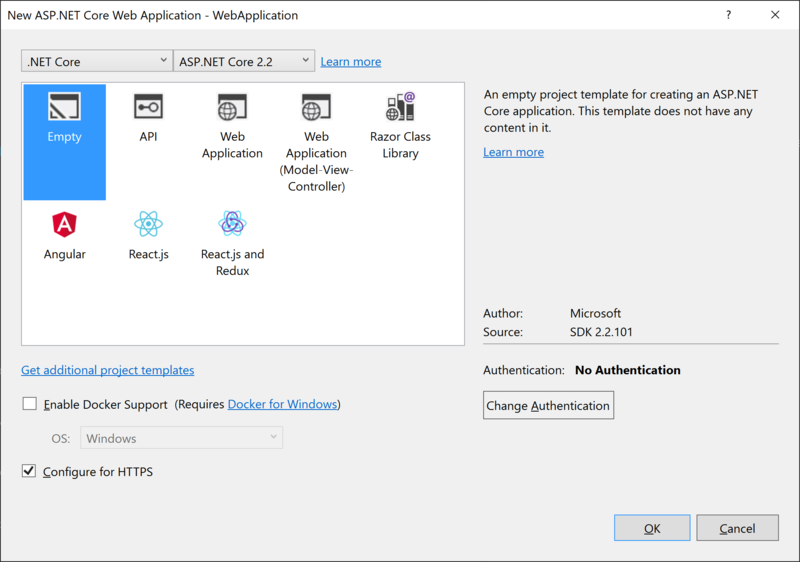 You will find there everything you need to start developing ASP.NET Core web applications. Open Startup.cs file. Inside the ConfigureServices method call services.AddExtCore one. Pass the extensions path as the parameter. 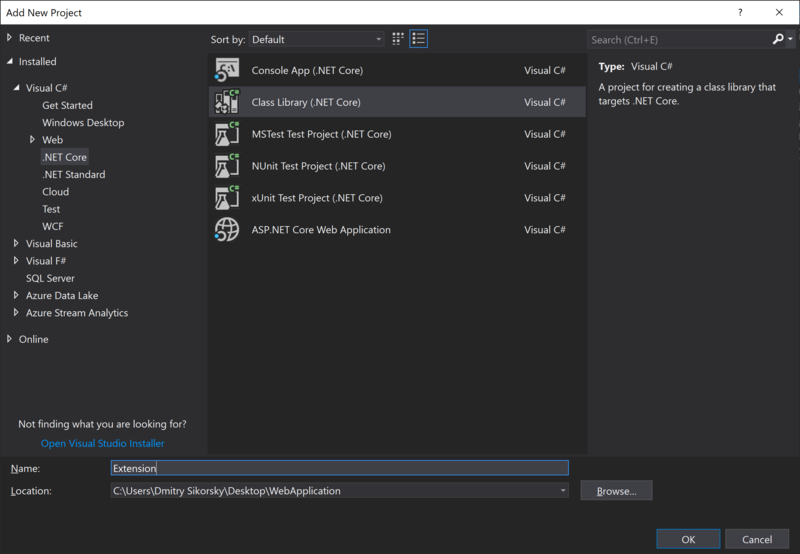 Inside the Configure method call applicationBuilder.UseExtCore one with no parameters. 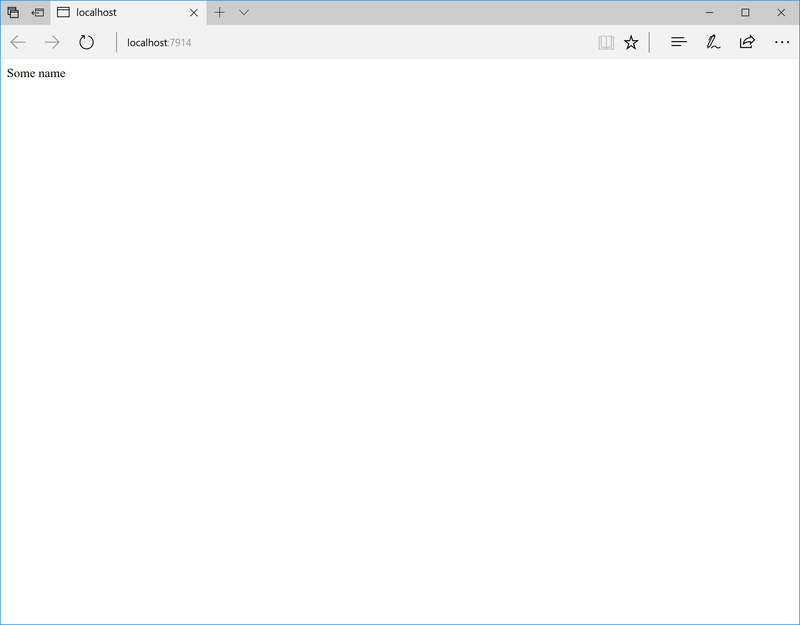 That’s all, you now have ExtCore-based web application. Now we need to create some extension project to show how ExtCore types discovering works. 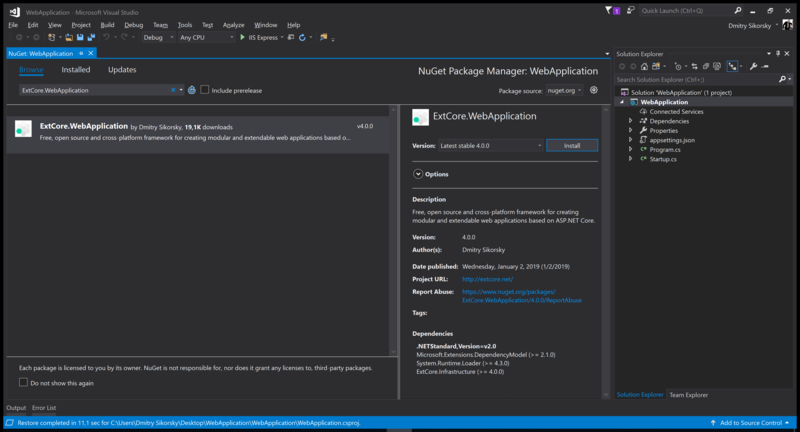 Open NuGet Package Manager and add dependency on the ExtCore.Infrastructure package. put compiled Extension.dll file to extensions folder of the WebApplication that is configured in appsettings.json file. It will search for the implementation of the IExtension interface, create instance of found type, and write its Name property value on every request. It may not look very impressive, but it’s only the beginning! 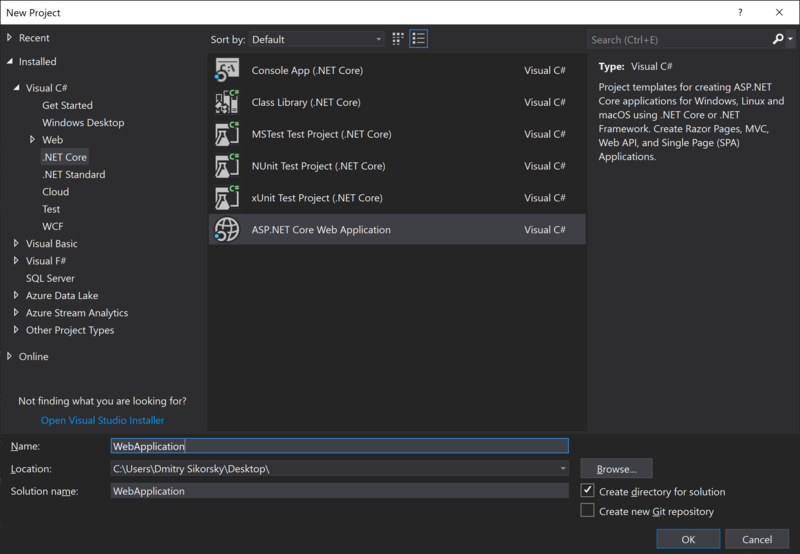 In the next tutorials we will see how extensions may execute their own code insite the ConfigureServices and Configure methods, how to use MVC and how to work with a storage. You can find the complete source of this sample project on GitHub: ExtCore framework 4.0.0 sample simplest web application.